Was This Once Called Sinclair Road? The following query was received from Derek Parker: Found the entire site astounding. Having lived in Mornington Crescent since 1987, I have recently started to develop a profound interest in the history of the area and your site does much to expand my knowledge. However, I understand that Mornington Crescent was at one time named Sinclair Road, this information having been given to me by a number of now deceased neighbours. 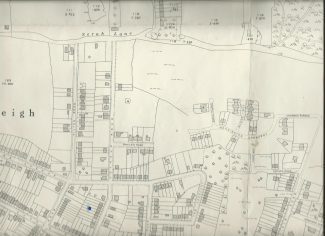 Can anyone expand upon this particularly with detail of old maps and buildings? 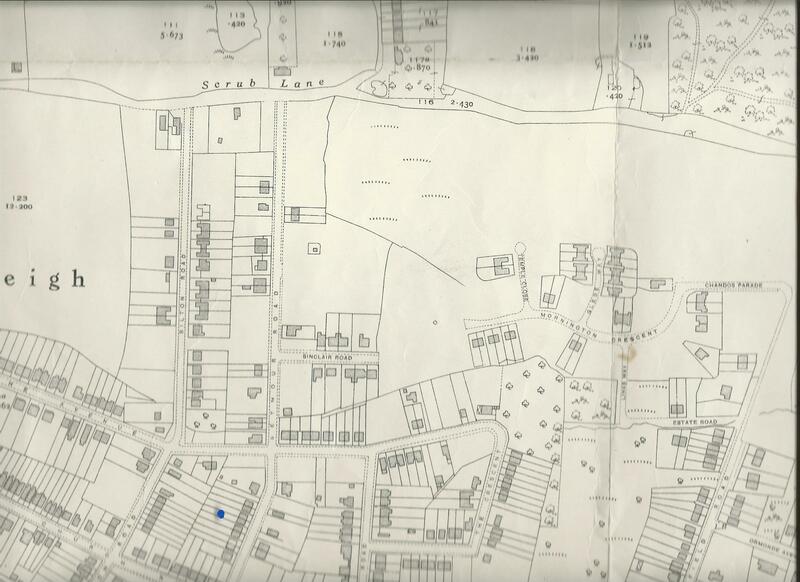 As an Archive editor, I have attached a copy of the relevant part of the 1939 Ordnance Survey map of Hadleigh which shows an incomplete Mornington Crescent as well as Sinclair Road. Perhaps someone can say when Mornington Crescent was completed and the Sinclair Road name lost from the records. Very interesting piece about planning permission to Rochford District Council Re Sinclair Rd. I might be wrong but I was under the impression that this area was ultimately developed by Spurgeons the builders based in Meadow Rd. Incidentally my great grandfather Robert Iredale of the Limes in Hadleigh was the second councillor for this area after Rochford District Council was formed. Sinclair Road was off Seymour Rd when I was growing up but you could only drive for about a hundred yards or so before it was impossible to go further. However, I think it was possible to drive in the opposite direction from Woodfield Rd. I can’t remember when it became Mornington Crescent, probably when the old abandoned cornfields were built on; allowing access. According to the Essex Record Office, in 1921, plans for a building application with respect to a bungalow in “Sinclere” Road, Hadleigh were submitted for approval to Rochford Rural District under “Section 1 of the Housing (Additional Powers) Act,1919”. The legislation referred to made it a duty of every local authority to consider the needs of their area and prepare a scheme with respect to the provision of houses for the working classes ie what we now know as council housing. What is unknown is where “Sinclere” Road was as it no longer appears to exist. Did this become “Sinclair” Road and then become replaced with Mornington Crescent? [Also, in case you were wondering why an application with respect to a bungalow in a Hadleigh road would have been put to Rochford Rural District Council, it is because it was only in 1929 that the ecclesiastical parishes of Hadleigh, Thundersley and South Benfleet were moved from the Rochford Rural District Council and united to form the new Benfleet Urban District Council]. There was a Sinclere Road in Hadleigh, I think some building plans for a development in Sinclere was put in many years ago; possibly by CS Wiggins? (I worked for Wiggins, that’s why I recall it).